Girls football is rapidly growing in popularity, and girls can now join with their friends to play AFL from Auskick and junior football, through to open age football and the AFLW. Although having had girls play in our mixed teams for a number of years, NJFC entered its first all-girls teams in 2017. It was exciting to watch girls who had played football in mixed teams supporting the development of girls completely new to the game. All seemed to have a great time and get a lot out of their season. In 2018 NJFC will field girls-only teams at Under 10, Under 12, Under 14 and Under 16 age groups. Girls interested in AFL can start in our girls-only Auskick group from the age of 5 or so. Girls can still elect to play in mixed teams up until Under 13, but girls as young as 7 can now join one of our all-girls teams. In the Under 10 age group no scores are recorded, in accordance with the AFL Junior Match Policy. Competitive football starts at Under 12 level, where girls will play for premiership points and may get the opportunity to play finals football. From Under-14s on, coaches may place more emphasis on the personal and team qualities needed to win games. Girls from eligible schools can nominate to trial for the School Sport Victoria (SSV) team to play in the Australian Championships each year at Under 12 (mixed) and Under 15 (girls) level, based on their age at 31 December of the previous year. This is a very competitive and self-funded program. More information can be found at SSV. Girls now also have the opportunity to play representative football through the NFNL Representative Program at Under 14-15 age level. 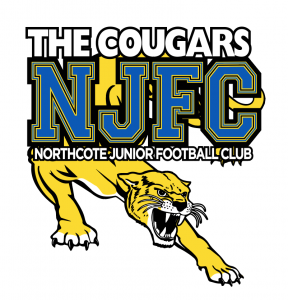 NJFC falls within the Carlton and Northern Knights catchment areas. The pathways for girls football are still evolving as the popularity of girls footy increases, but talented female footballers from our area can aim to be ultimately part of the Carlton AFLW program. The Carlton Next Generation Academy has additional programs to support talented girls with multicultural and/or Aboriginal and Torres Strait Islander heritage, generally starting from Under 13 age groups.